WBSC - NEWLETTER - Federación de Softball de Puerto Rico, Inc.
South Korea delivered on their promise of making the host nation proud by capturing gold in baseball at the Asian Games, defeating Chinese Taipei 6-3 in front of a frenzied, vocal, energetic and sold-out Munhak Stadium (See Vine video clip) and TV audiences across Asia -- and global media coverage. The President of the Olympic Council of Asia (OCA), H.H. Sheikh Ahmad Al Fahad Al Sabah of Kuwait, threw out the ceremonial first pitch before the preliminary round game between the host county Korea and Chinese Taipei. The OCA leader also announced his support for baseball/softball's inclusion at the 2020 Olympic Games in Tokyo. Meanwhile, the Baseball Federation of Asia (BFA) has endorsed the WBSC campaign under President Riccardo Fraccari to have baseball and softball included in the Olympic sports programme for the Tokyo 2020 Olympic Games. The International Olympic Committee (IOC), will hold a special session in early December in Monaco to discuss and vote on new reforms for selection of Olympic sports, among other areas, which are expected to pave the way for more sports and disciplines to be considered for Olympic Games inclusion. In the women's softball competition that followed, Japan won the gold, defeating Chinese Taipei 6-0. China earned the bronze after the 6-day competition held at the Songdo LNG Baseball Stadium. At medal ceremony, the softball athletes from China, Chinese Taipei and Japan united, in a great act of international friendship and respect, holding up a banner that read, "Baseball and Softball -- Let's do it together 2020." American Olympians Monica Abbott and Natasha Watley visited Nakahara Elementary School in Tokyo this week. They spent the day teaching throwing skills, discussing softball and following your dreams. Afterwards the kids put on a dance for the athletes. Both athletes received Silver at the Beijing 2008 Olympics and currently play for Team Toyota in the Japan Softball League. This event was put on by Tokyo 2020, with two additional events planned featuring different sports. Success with Australia's women's national baseball and softball teams at the world championships this summer has entered Leigh Godfrey into the history books as the first player ever to medal at a baseball world championship and a softball world championship. Godfrey was a representative of Softball Australia's squad, which captured the bronze medal in the XIV Women's World Softball Championship that was held in Haarlem, Netherlands in August. A few weeks later, Godfrey, a native softball player, won a bronze medal as a member of Baseball Australia at the Women's Baseball World Cup in Miyazaki, Japan. With baseball and softball completing a historic merger to form the World Baseball Softball Confederation back in May, Godfrey was keen to point out the potential benefits and synergy of the union. "With baseball and softball working together, there will be more opportunities to develop and grow the sport than if each sport were to do it alone," according to the 25-year-old. "Together there are twice as many resources." An Aussie Sparks development tour featuring 30 girls aged 15 years or younger concluded following a two-week tour to Taiwan, San Francisco and Los Angeles (USA). The tour featured stops at a number of top colleges, where the girls enjoyed training under leading coaches and saw first-hand the facilities and training environment at the collegiate level. A number of games against similar aged teams, as well as attending pro-league games in Taiwan and San Francisco, were also arranged. Softball Australia's relationship with Aussie Sparks encompasses a number of development tours each year, with tours for 15U boys, 15U girls and U19 girls being planned for 2015. The Softball Association of Malaysia hosted an umpire clinic in Kuala Lumpur for twenty nine umpires. It was taught by ISF -- the international softball arm of the WBSC -- Director of Umpires, Bob Stanton. The course covered rules and theory in the classroom, drills on the field and game evaluation at the National Championship. Five internationally certified umpires also had the opportunity to recertify and are now qualified to umpire in WBSC sanctioned softball events. The Czech men's club team, Spectrum, has won the 2014 national championship by defeating the Beavers from Chomutov in a four game series. Spectrum's team was made up with seven national team players making them the favourite, after finishing second behind Havlickuv Brod in the regular season. In the past four years, Spectrum has walked away with the trophy three times (2011, 2012, and 2014); the Beavers won the title last year. Australia's 1965 Women's World Championship gold medal team has been recognised at the Sport Australia Hall of Fame for their significant contribution to Australia's sporting history. Beating the highly rated Americans at the inaugural Women's World Championship, the Australian team was represented by eight players and one of the coaching staff at the dinner. This award is the highest honour that a team can receive in Australia. USA Softball holds over 100 national championships per year for men, women, and youth for all ability levels. In the most recent results, four teams raised their respective trophies in the air following the adult slow pitch USA National Championships. Long Haul/H. Auto/Easton brought home their second-consecutive Super Slow Pitch National Championship with a thrilling 39-16 (five inning) win over Sonny's, while Compound Athletics/Bubbas took home the Men's Class A title, DIA Water Connection/Dutch Mafia took home the Men's Class D title and Derby Girls won the Women's Open title. The United States was declared the gold-medal winners at the 2014 COPABE 18U Pan American Championship after Hurricane Odile forced tournament officials to abandon the game in the bottom of the third inning Sunday, with USA leading Cuba 1-0. In the bronze medal contest, which took place prior to the arrival of Hurricane Odile, Canada defeated Mexico 9-7. Finishing among the top four in the event, Canada, Cuba, Mexico and the United States have qualified for the 2015 18U Baseball World Cup -- the world's highest and most prestigious competition level in this age category. The Bulgarian Baseball Federation (BFB), under President Yassen Nedelchev, recently reached a historic benchmark in producing the country's first-ever live video transmission of a baseball competition in Bulgaria on Saturday, September 13th. The BFB brought a semifinal contest of the 2014 Bulgarian National Championship between Athletic Sofia and the Sofia Blues to a global audience via online platform Streamer.bg. Officials at the BFB hailed the "historic event" as another validation of baseball and softball's growing footprint, increasing activity and steadily rising popularity across Europe. In April of 2013, BFB celebrated its 25th anniversary. Venezuela defeated Mexico, 10-6, in the finale of the 14U Pan-American Championship to capture the gold medal at Dennis Martinez National Stadium and before a nationally televised audience via Canal6 this past Sunday. The gold medal victory generated a buzz in Venezuela, produced by coverage of such national media giants as noticias24.com and La Radio del Sur, and Venezuela's Ministry of Sport -- and in Mexico via Yahoo! News. Venezuela, which defeated No. 4 Chinese Taipei to earn the bronze medal at the 15U Baseball World Cup this summer in Sinaloa, Mexico, is the world No. 10. WBSC unveiled a global collection of National Teams for the inaugural 21U Baseball World Cup that will be staged next month in Taichung, Taiwan from 7-16 November. In a further boost to the launch, visibility, and success of the newest world championship baseball platform to be rolled out under the WBSC, agreements have been reached to secure live television production for nearly half the games, with additional distribution deals to expand coverage, including global distribution via online and mobile platforms expected to be announced imminently. Forty-three games have been announced for the 2015 21U Baseball World Cup. Colombia won the gold medal at the 10U South American Baseball Championship Sunday, defeating host Ecuador, 8-0, in the finale. In the bronze medal contest, Brazil defeated Peru. Brazil, Colombia, Ecuador and Peru begin the 9-day competition, friendship and cultural exchange on 20-September. Organisers in Ecuador - and participating nations -- hailed the success of the event as helping to connect the world and building international friendships through sport, while providing a safe and fun environment to promote cooperation, multiculturalism, fitness, respect and teamwork. This 10U championship in South America is the youngest age group in all of sport to feature National Teams. At the world level, the 12U Baseball World Cup, which will next be played in 2015, is baseball's most elite and competitive competition for 12-year-olds. The Hong Kong Baseball Association (HKBA) recently organized a Level 1 (Elementary) Baseball Coach Certification Program in conjunction with the International Baseball Federation (IBAF), the World Baseball Softball Confederation's baseball arm. IBAF Technical Commissioner Peter Caliendo, who has extensive baseball experience around the globe, directed the coaches program. Caliendo noted that helping the spread of deeper baseball knowledge to teams, new players and future generations, which will provide a long-term boost to the competition level, athlete retention, and overall participation numbers in emerging nations. The match-up for the Chinese Professional Baseball League (CPBL) title was finally decided Sunday night, as the regular season came to an end in front of a frenzied sellout crowd of more than 10,000 fans at Tienmu Stadium. Republic of China (Taiwan) First Lady Christine Chow Ma was in attendance to see the Chinatrust Brothers clinch the second-half title by defeating the 2013 CPBL champions, Uni-President 7-Eleven Lions, securing a place in the 2014 Taiwan Series versus the first-half winner, Lamigo Monkeys. The best-of-seven Taiwan Series between the Lamigo Monkeys and the Chinatrust Brothers will start on Saturday, October 18th. Corea del Sur cumplió su promesa de llenar de orgullo a la nación anfitriona capturando el oro en béisbol en los Juegos Asiáticos, derrotando a Chinese Taipei 6-3 frente a un Munhak Estadio frenético, ruidoso, enérgico y lleno hasta la bandera (Vea el video clip) y audiencias de televisión en Asia - y cobertura mediática global. El presidente del Consejo Olímpico de Asia (OCA), su Alteza el Jeque Ahmad Al Fahad Al Sabah de Kuwait, hizo el lanzamiento de honor antes del partido de la ronda preliminar entre el país anfitrión Corea y Chinese Taipei. El líder de OCA también anuncio su apoyo a la inclusión del béisbol/softbol en los Juegos Olímpicos de Tokio 2020. Al mismo tiempo, la Federación de Béisbol de Asia (BFA) ha respaldado la campaña de la WBSC bajo el Presidente Riccardo Fraccari para que el béisbol y el softbol sean incluidos en el programa deportivo olímpico de los Juegos Olímpicos de Tokio 2020. El Comité Olímpico Internacional (COI), llevará a cabo una sesión extraordinaria a principios de diciembre en Mónaco para discutir y votar nuevas reformas en la selección de los deportes olímpicos, entre otras temas, de las que se espera allanen el camino para que más deportes y disciplinas sean considerados para su inclusión en los Juegos Olímpicos. En la competición de softbol femenino, Japón se adjudicó el oro, derrotando a Chinese Taipei 6-0. De China se llevó la medalla de bronce tras 6 días de competición disputada en el Estadio de Béisbol Songdo LNG. En la ceremonia de medallas, las atletas de softbol de China, Chinese Taipei y Japón unidas, en un gran acto de amistad internacional y respeto, sostuvieron una pancarta que leía: "Béisbol y Softbol - Hagámoslo juntos 2020". Las Olimpistas Americanas Monica Abbott y Natasha Watley visitaron esta semana la Escuela de Primaria Nakahara en Tokio. Pasaron el día enseñando habilidades para lanzar, conversando sobre softbol y seguir sus sueños. Después, los niños danzaron para las atletas. Ambas atletas recibieron medalla de Plata en los Juegos Olímpicos de Beijing 2008 y actualmente juegan para el equipo Toyota en la Liga de Softbol de Japón. Este evento fue organizado por Tokio 2020, con dos eventos adicionales previstos que ofrecen diversos deportes. El éxito con los equipos de béisbol y softbol nacional femenino de Australia en el Campeonato Mundial de este verano, ha puesto a Leigh Godfrey en los libros de historia como la primera jugadora de la historia en conseguir una medalla en un campeonato mundial de béisbol y un campeonato mundial de softbol. Godfrey era una representante del equipo de Softbol de Australia, que ganó la medalla de bronce en el XIV Campeonato Mundial de Softbol Femenino, realizado en Haarlem, Holanda, en agosto. Unas semanas más tarde, Godfrey, una jugadora natal de softball, ganó una medalla de bronce como miembro del Beisbol de Australia en la Copa Mundial de Béisbol Femenino en Miyazaki, Japón. Con el béisbol y el softbol completando una fusión histórica para formar la Confederación Mundial de Béisbol Softbol en mayo, Godfrey estuvo dispuesta a señalar los posibles beneficios y sinergias de la unión. "Con el béisbol y el softbol trabajando juntos, habrán más oportunidades para desarrollar y hacer crecer el deporte, que si cada deporte lo tuviera que hacer solo", de acuerdo a la chica de 25 años de edad. "Juntos, se doblan los tantos los recursos." Un tour desarrollo de Aussie Sparks compuesto de 30 niñas de 15 años o menores celebrado tras una gira de dos semanas a Taiwán, San Francisco y Los Ángeles (USA). La gira incluyo una serie de paradas en los mejores colegios, en donde las jóvenes disfrutaron de entrenamiento bajo importantes entrenadores y vieron personalmente las instalaciones y ambiente de entrenamiento a nivel universitario. Una serie de juegos contra equipos en edades similares, así como asistieron a juegos que también fueron arreglados de la pro-liga en Taiwán y San Francisco. La relación del Softbol de Australia con Aussie Sparks comprende una serie de giras de desarrollo anuales, con visitas para niños de 15 y menores, niñas de 15 y menores, y 19 y menores están siendo ya planificados para el 2015. La Asociación de Softbol de Malasia organizó una clínica de árbitros en Kuala Lumpur para veintinueve árbitros. Fue conducido por la ISF - el brazo internacional de softbol de la WBSC - Director de Árbitros, Bob Stanton. El curso cubrió reglas y teoría en salón de clases, ejercicios en el campo y evaluación en juego en el Campeonato Nacional. 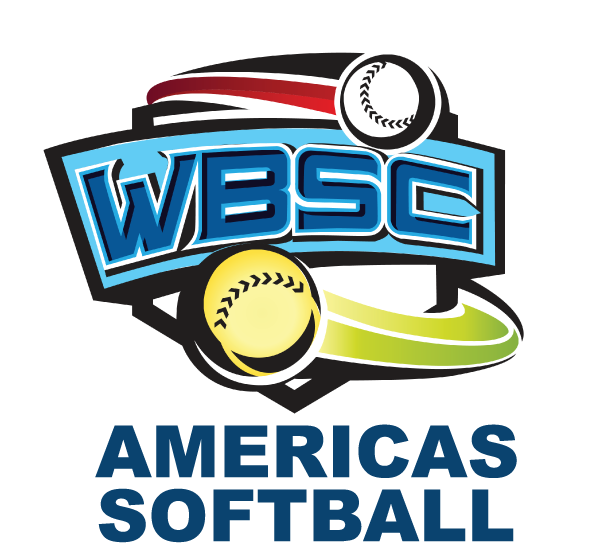 Cinco árbitros certificados internacionalmente, también tuvieron la oportunidad de tomar la recertificación y ahora están capacitados para arbitrar en eventos de softbol sancionados por la WBSC. El Equipo de Club Checo Masculino, Spectrum ha ganado el campeonato nacional 2014 derrotando a los Beavers de Comutov en una serie de cuatro juegos. El equipo Spectrum estuvo compuesto con siete jugadores de equipos nacionales, convirtiéndolos en el favorito, después de finalizar de segundo detrás de Havlickuv Brod en la temporada regular En los cuatro anos pasados, Spectrum ha salido en tres ocasiones con el trofeo (2011, 2012 y 2014); los Beavers ganaron el título el año pasado. El equipo ganador de la medalla de oro del Campeonato Mundial Femenino 1965, Australia, ha sido reconocidos por el Salón de la Fama del Deporte de Australia, por su importante contribución a la historia del deporte de Australia. Derrotando a las altamente calificadas de USA en el primer Campeonato Mundial de Softbol Femenino, el equipo australiano estuvo representado por ocho jugadoras y una persona del personal de entrenamiento en la cena. Este premio es el más alto honor que un equipo puede recibir en Australia. USA Softbol cuenta con mas de 100 campeonatos nacionales cada ano, para mujeres y hombres en todos los niveles de capacidad. En los resultados más recientes, cuatro equipos levantaron sus respectivos trofeos al aire siguiendo el Campeonato Nacional de lanzamiento lento. Long Haul/H. Auto/Easton llevaron a casa su segundo consecutivo en el Campeonato Nacional Super Lanzamiento Lento con un emocionante 39-16 (cinco entradas) ganando a Sonny, mientras Compound Athletics/Bubbas se llevaron a casa los el Titulo de la Clase A de hombres y DIA Water Conecction/Dutch Mafia se llevaron a casa el título de la Clase D de Hombres y Derby Girls gano el título del Abierto de Mujeres. Los Estados Unidos fueron declarados vencedores de la medalla de oro del Campeonato Panamericano COPABE U-18 2014 después de que el Huracán Odile obligara a los oficiales del torneo a poner fin al partido al cierre de la tercera entrada el domingo, cuando USA estaba por delante de Cuba 1-0. En el juego por la medalla de bronce, el cual se disputó antes de la llegada del Huracán Odile, Canadá derrotó a México 9-7. Acabando entre los cuatro primeros en el torneo, Canadá, Cuba, México y los Estados Unidos clasificaron para la Copa Mundial de Béisbol U-18 2015 - la competición de mayor nivel y prestigio mundial para esta categoría de edad. La Federación Búlgara de Béisbol (BFB), bajo la presidencia de Yassen Nedelchev, recientemente llegaron a un momento histórico al retransmitir en vídeo por primera vez en vivo para todo el país una competición de béisbol en Bulgaria el sábado 13 de septiembre. La BFB produjo el encuentro de semifinales del Campeonato Nacional de Bulgaria 2014entre el Athletic Sofía y los Sofía Blues a una audiencia global a través de la plataforma online Streamer.bg. Directivos de la BFB se congratularon por el "histórico acontecimiento" como una validación más de la creciente huella del béisbol, aumentando la práctica y subiendo constantemente en popularidad por toda Europa. En abril de 2013. La BFB celebró su 25º aniversario. Venezuela derrotó a México, 10-6, en la final del Campeonato Panamericano U-14 capturando la medalla de oro en el Estadio Nacional Dennis Martínez y ante una teleaudiencia a nivel nacional a través de Canal6 este pasado domingo. La consecución de la medalla de oro generó un revuelo en Venezuela, producida por la cobertura de gigantes mediáticos nacionales tales como noticias24.com y La Radio del Sur, y el Ministerio de Deportes de Venezuela - y en México a través de Yahoo! News. Venezuela, que derrotó a la Nº 4 Chinese Taipei para adjudicarse la medalla de bronce en la Copa del Mundo de Béisbol U-15 este verano en Sinaloa, México, está en el puesto Nº10 del mundo. La WBSC dio a conocer una colección mundial de Equipos Nacionales para la Copa Mundial de Béisbol U-21 inaugural que se disputará el próximo mes en Taichung, Taiwán del 7-16 de noviembre. Se ha ido acumulando una expectación y emoción ante el inicio de la Copa del Mundo de Béisbol U-21 dado que será la competición global final antes de anunciar los doce equipos que clasifiquen para "El Premier 12", el nuevo torneo internacional de béisbol buque insignia, con jugadores profesionales, que se lanzará en 2015 y contará con los 12 países mejor clasificados del mundo y premios valorados en millones de dólares USA. En un nuevo impulso parar la puesta en marcha, visibilidad y éxito de la nueva plataforma de campeonato mundial de béisbol organizado por la WBSC, ya se han llegado a acuerdos para asegurar la producción televisiva en directo de casi la mitad de juegos, con acuerdos de distribución adicionales para ampliar la cobertura, incluyendo la distribución mundial a través de plataformas en línea y móviles cuyo anuncio se espera de forma inminente. Se disputarán cuarenta y tres partidos durante la Copa Mundial de Béisbol U-21 2015. Colombia se adjudicó la medalla de oro del Campeonato Sudamericano de Béisbol U-10 el domingo, derrotando en la final a la anfitriona Ecuador, 8-0, en un Estadio Freddy Uzcategui Baquerizo lleno a rebosar. Brasil, Colombia Ecuador y Perú iniciaron la competición, amistoso e intercambio cultural de 9 días el 20 de septiembre. 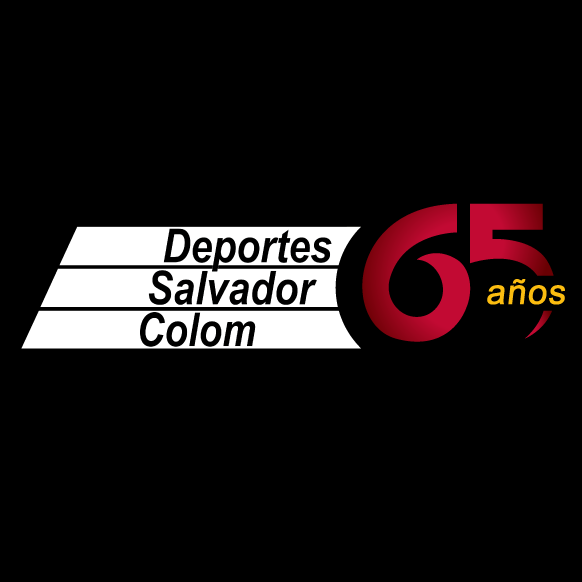 Los organizadores en Ecuador - y las naciones participantes - congratularon el éxito del evento por ayudar a conectar el mundo y estrechar amistades internacionales a través del deporte, creando un entorno seguro y divertido para promover la cooperación, el multiculturalismo, el ejercicio, el respeto y el trabajo en equipo. Este campeonato U-10 en Sudamérica es el grupo de edad más joven de todo el deporte enfrentando a equipos nacionales. A nivel mundial, la Copa Mundial de Béisbol U-12, cuya próxima edición se disputará en 2015 y es la competición de béisbol de mayor nivel y competitividad U-12, es el campeonato del mundo de la categoría de edad más joven en todos los deportes. La Asociación de Béisbol de Hong Kong (HKBA) organizó recientemente un Programa de Certificación de Entrenador de Béisbol de Nivel 1 (Elemental) conjuntamente con la Federación Internacional de Béisbol (IBAF), el brazo de béisbol de la WBSC. El Comisario Técnico IBAF Peter Caliendo, con una amplia experiencia en béisbol a nivel mundial, dirigió el programa de entrenadores. Caliendo destacó la ayuda en la expansión de mayores conocimientos del béisbol a equipos, nuevos jugadores y futuras generaciones, lo cual provocará un empujón a largo plazo en el nivel de competición, la retención de atletas y el número total de participantes en naciones emergentes. El enfrentamiento por el título de la Liga de Béisbol Profesional China (CPBL) se definió en la noche del domingo, poniendo fin a la temporada regular con un enérgico lleno total con más de 10.000 aficionados en el Estadio Tienmu. La Primera Dama de la República de China (Taiwán) Christine Chow Ma estuvo presente para ver a los Chinatrust Brothers hacerse con el título de la segunda mitad al derrotar a los campeones de la CPBL 2013, Uni-President 7-Eleven Lions, asegurándose un puesto en la Serie de Taiwán 2014 contra el campeón de la primera mitad, los Lamigo Monkeys. La Serie de Taiwan al mejor de siete partidos entre los Lamigo Monkeys y los Chinatrust Brothers dará inicio el sábado 18 de octubre.